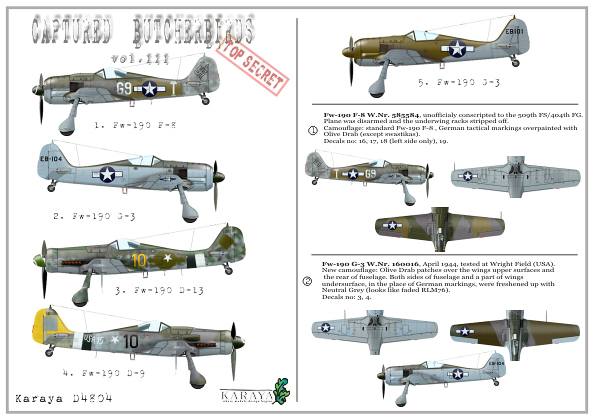 I have just returned from the 65th Koksidje international airshow in Belgium with some new decal sheets from Karaya (Poland). 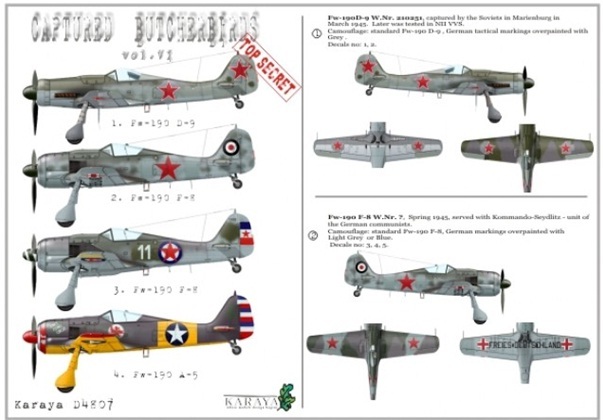 These superb sheets, based on the Captured Butcherbirds books published by Kecay and reviewed elsewhere on this blog, cover some very colourful captured Fw 190s in 48th and 72nd scales with more sheets devoted to Soviet and Yugoslav (partisan) machines, including a very striking Focke Wulf Fw 190 F-8 of the Kommando Seydlitz with its "Freies Deutschland" titles across the lower wing surfaces as seen in Kurland, April 1945. 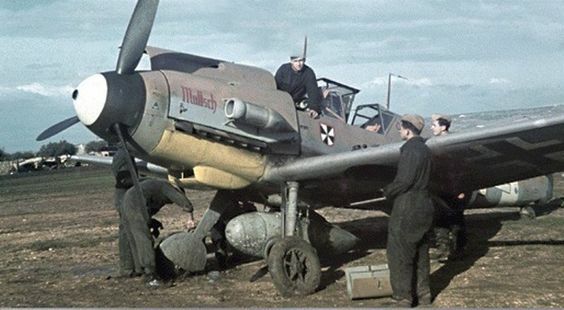 Two rather more well-known aircraft are captured US machines- Col. Leo Moon's red Focke Wulf Fw 190A-8 W.Nr.681497 and Focke Wulf Fw 190F-8 W.Nr.583234, 511th Fighter Squadron / 404th Fighter Group USAAF, Kitzingen, May 1945. 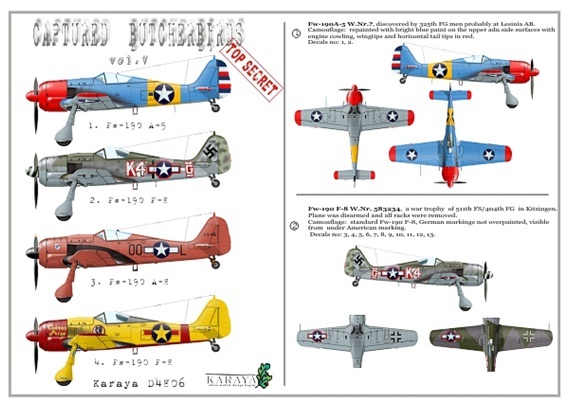 Rather than list the entire contents of the sheets why not visit http://karaya.pl/ directly for more info and ordering details.